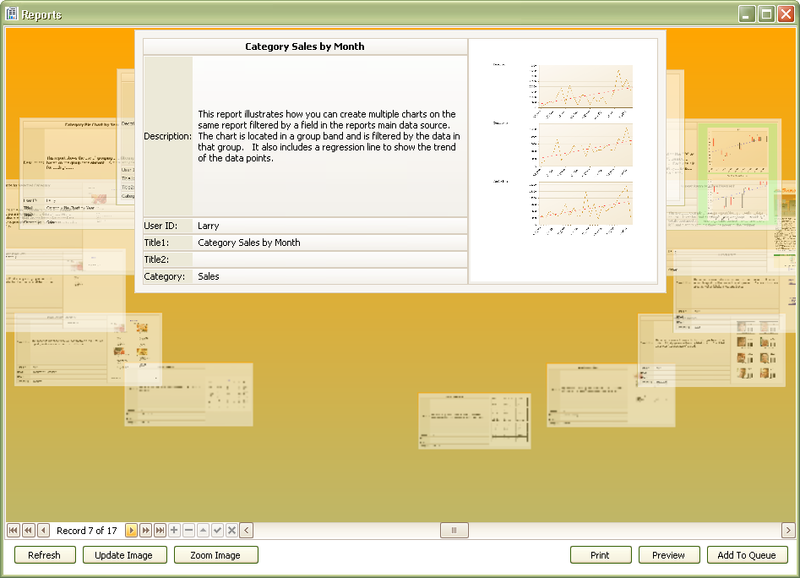 You can also have the program start with the Report Carousel. The Report Carousel is a great place to browse report definitions available since the entire description is shown as well as a thumbnail of the first page of the report. From here you can add a report definition to the queue or print/preview it directly. You can click on the form to have the report carousel move, or use the scroll bar on the bottom right, or the record selectors on the bottom left.